Is the state-franchised lottery in the United Kingdom operated by Camelot Group. Established in 1994, the lottery is regulated by the National Lottery Commission and in accordance with a license from the National Gambling Commission. There are several games operated under the National Lottery brand such as lotteries and scratchcards including online betting. The National Lottery brand supports various charitable activities, generates considerable revenues to the country’s treasury and creates each year new millionaires. the National Lottery Distribution Fund (NLDF) administered by the government’s Department for Culture, Media and Sport is dedicated solely to good causes. 28% of the total lottery revenue goes to the fund, along with all unclaimed prizes. The distribution of money to ‘good causes’ is not the responsibility of the operator (the Camelot Group). It is the responsibility of the twelve distributors that make up the National Lottery Distribution Fund. The money is distributed across the UK for a variety of projects ranging from the restoration of historical monuments to the support to olympics and paralympics athletes. At present, 40% is awarded to health, education, environment and charitable causes, 20% to sports, 20% to arts and 20% to heritage. Each week, the National lottery guarantees £30 million to its projects. 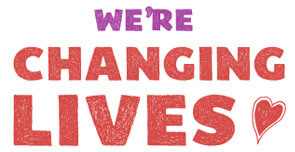 Until now, the fund has given grants totalling over £37 billion to 510.000 projects. All information about the good causes fund is available at the website “Your National Lottery”. The Good Causes website includes a search engine allowing every website visitor (after entering the appropriate post code) to see what local improvements have been made in a particular district from the good causes fund. For more details visit http://www.lotterygoodcauses.org.uk/. The Heritage Lottery Fund was set up in 1994 to support numerous projects involving the local, regional and national heritage across the United Kingdom. Since 1994, the Heritage Lottery Fund has distributed money to more than 58.500 projects. Thanks to its diversity the projects include all sorts of activities helping the country’s heritage such as the conservation and protection of natural habitats, historical countryside, the conservation of historical buildings as well as various educational courses focused on ecology and environmental changes. Lotteries make up the top and most popular type of gambling in the UK. People are lured by massive and irresistible jackpots worth millions of pounds. The National Lottery offers four main lotteries complemented by additional games and scratchcards. 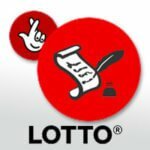 Before we spend some time on the history of the National Lottery established in 1994, we will say a few words about the early years of lotteries in England in general. The first lotteries established on the British soil date back to the 17th century based upon the government’s financial experiments including the re-coinage and the foundation of the Bank of England to raise the capital available to the state. Early English state lotteries included the Million Lottery (set up in 1694) and the Malt Lottery (set up in 1697). Due to the proliferation of lotteries, an act had to be adopted stipulating lottery games in England as illegal as long as allowed by the government. The only allowed lotteries were those mentioned above. A 1934 Act, further liberalised in 1956 and 1976, legalised small lotteries. A few decades later in 1993 the national lottery was set up under government licence by the government of John Major .The National Lottery is franchised to a private operator; the Camelot Group was awarded the franchise on 25 May 1994. The first draw took place on 19 November 1994 (nowaydays known under the name Lotto). The Camelot Group has been the operator of the lottery since the awarding of the franchise until today. One year later, in 1995 the first scratchcards emerged. The first drawing of Thunderball took place in 1999. More details about the history of the Thunderball lottery are available in the description of Thunderball. 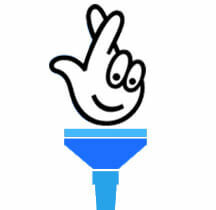 The National Lottery brand undertook major marketing changes in 2002. The main game was renamed from the National Lottery into Lotto. The old logo was modified into how you know it today. However, the games as a collective are referred to by people by using the old National Lottery. It is one of the most popular forms of gambling in the United Kingdom. In 2003 we saw the incredible come true: The Camelot Group was awarded the licence for the operation of Interactive Instant Win Games under the National Lottery brand. This licence made it possible for the people to play their favourite online lotteries and later on also online internet scratchcards. One of the major steps by the National Lottery was the co-foundation of one of Europe’s biggest lotteries called Euromillions in February 2004. The lottery was originally introduced by France, Spain and the UK. Today, the game is being played in 13 European countries. Those who look for the biggest pan-European jackpot are at the right address. Following the success of London’s bid to host the 2012 Summer Olympics, Olympic Lottery a new line of scratchcards was launched On 27 July 2005 under the brand name “Go for Gold”. 28% of the price of £1 went to the Olympic Lottery Distribution Fund, and the scratchcards were intended to reduce the the overall costs of staging the games. 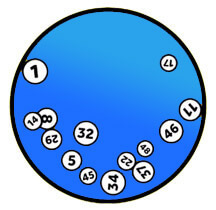 The National Lottery uses a number of different machines and ball sets which are selected by either a celebrity or a member of the general public. This is to minimise the chance of human override and manipulation with the machines. There is list of drawing machines appeared in the National Lottery draws: Amethyst, Arthur, Galahad, Garnet, Guinevere, Lancelot, Merlin, Moonstone, Opal, Pearl, Sapphire, Topaz and Vyvyan. The key license indispensible for the running of the National Lottery is the one awarded by the National Gambling Commission. The latest and current license was awarded to Camelot Group in 2009 for the duration of ten years, which was prolonged in 2012 by four more years until 2023. 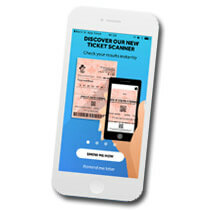 To kill their time while travelling to work, players can use a smart eponymous application, the National Lottery. The application is easy to use and adopted for non-professionals. All details you would see at the National Lottery’s website are available in this small mobile application in a user-friendly format. 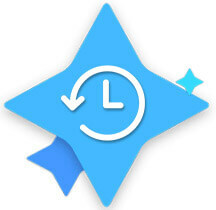 The application is operated on Android or iOS and you can download it for free. Our website offers an extensive review of the application along with the user guide.